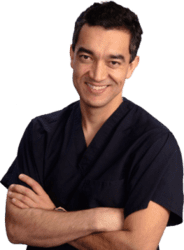 Trust your neck lift procedure to the best-reviewed plastic surgeon in Pittsburgh, PA.
Facial aging is characterized by the descent of tissues, loss of volume, wrinkling, and skin excess. A neck lift is performed under general anesthesia and it is usually completed in 2 to 4 hours. What is a Neck lift – Platysmaplasty? A neck lift is the rejuvenation of the neck by repositioning the tissues of your neck in a more youthful position. This can be done by using various techniques depending on the severity of the aging changes to your face. The Neck lift is done in an accredited AAAASF and state certified facility or in a hospital depending on the length of the procedure. It is done under sedation and local anesthesia, or general anesthesia. The duration of the procedure is about 3:00 to 5 hours. It is done as an outpatient procedure or with one overnight stay. What decisions do I need to make before turkey neck surgery? What is the recovery after neck tightening? 1 -2 weeks off from work if non-physical. No driving while taking narcotic medication. Exercise: May walk immediately. Resume normal activities at 6 weeks. Follow up appointments after: one week, 6 weeks, 6 months, and 1 year. Neck lift – What complications could occur? The typical cost for Neck Lift near Pittsburgh, Pennsylvania ranges from $6,500 - $8,500. Trust your neck lift procedure to the best-reviewed plastic surgeon in Pittsburgh.